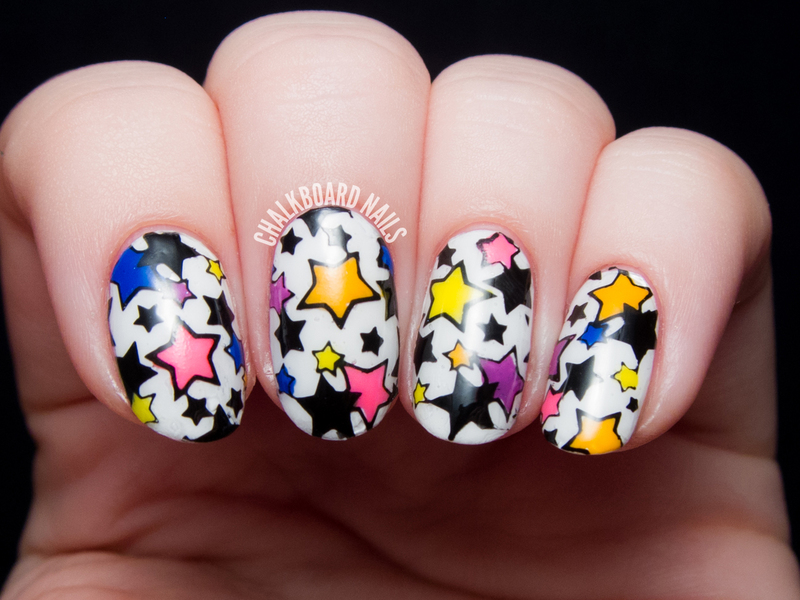 If you wanna try out this technique, be sure to visit Drama Queen Nails for her tutorial. The basic gist of it is that you create your own decals by stamping and painting on a plastic bag or a piece of wax paper. 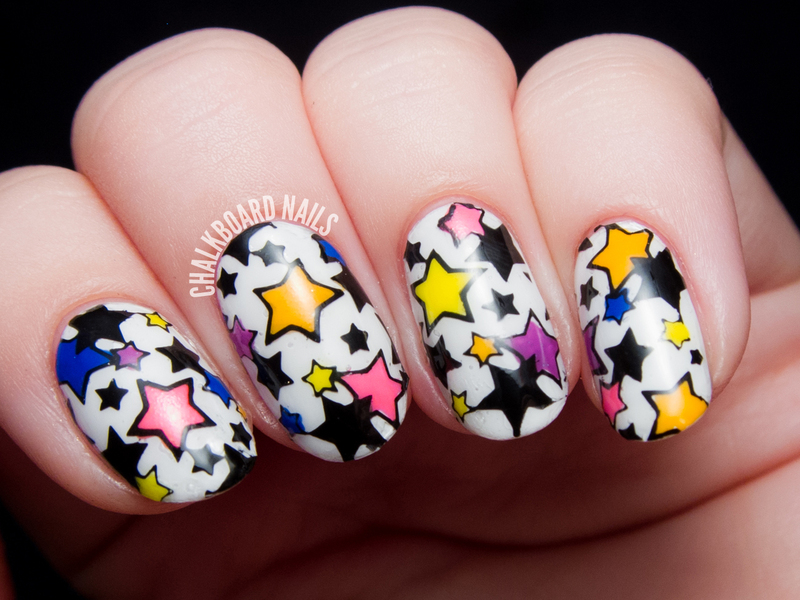 You peel the "decals" off, flip them over, and stick them on your nails. I used five of the Serum No. 5 neon glows for this look, and it was AWESOME in the dark. 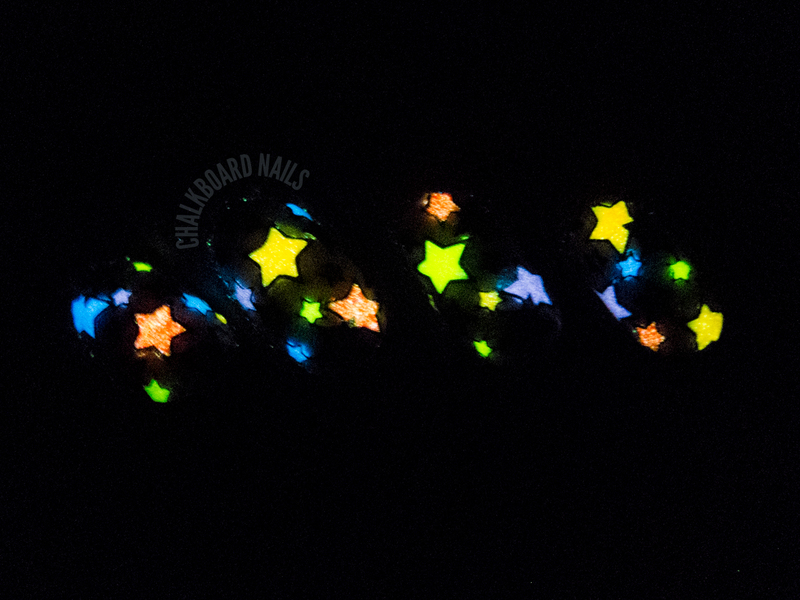 Tiny little glowing stars, floating around. I love that they glow different colors, too. This looks so cool, I LOVE how it glows in the dark! The way they glow in the dark - WOW! 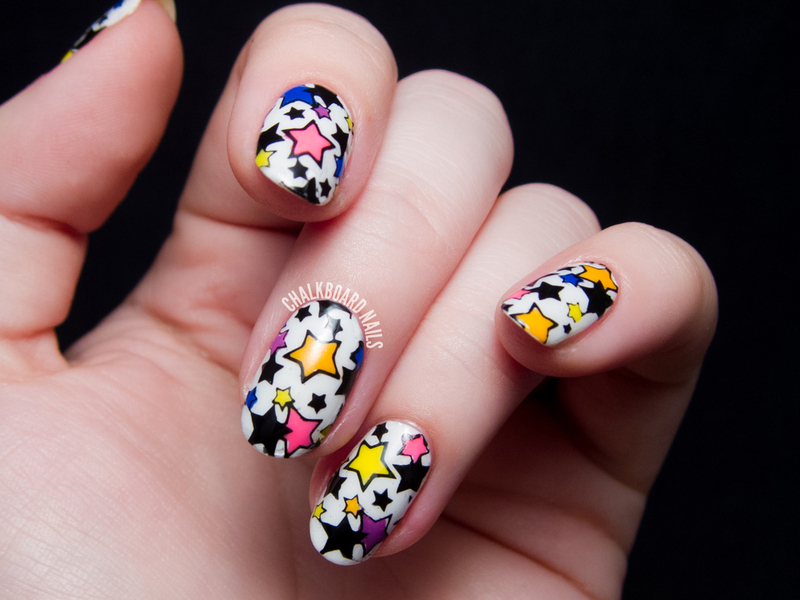 These are your first stamping decals? They look super pro! I always got air bubbles when fixing the decals to my nails. Yeah, I'm still struggling with this technique. Not as easy as it sounds! Yours turned out awesome! These are awesome! Fabulous job! So cool! Love it in the dark. 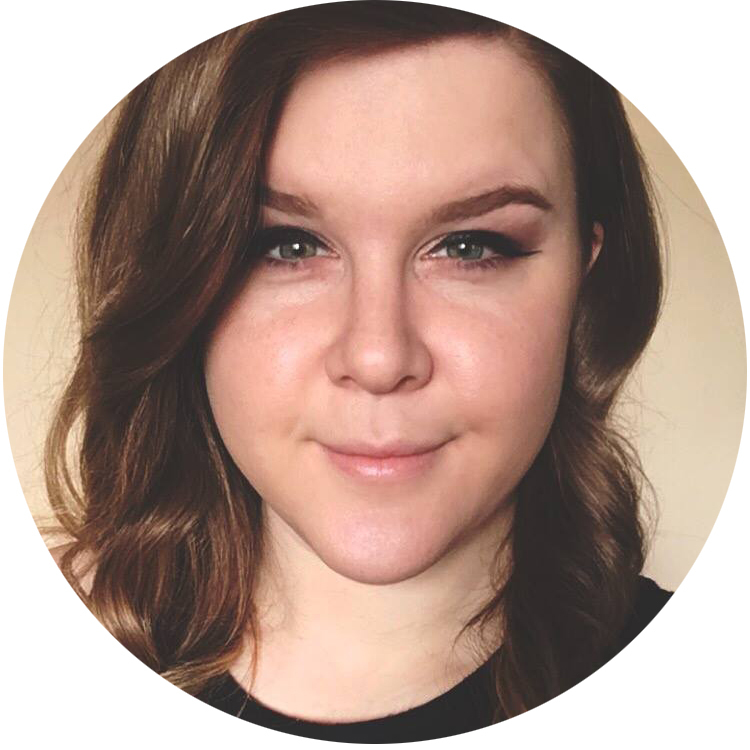 Thanks for sharing this Sarah! I hadn't heard of this technique before but love the effect. Yours came out really clean, too - I'm amazed it's your first try! Pretty! I've never seen anything like this before, and I love the outcome! 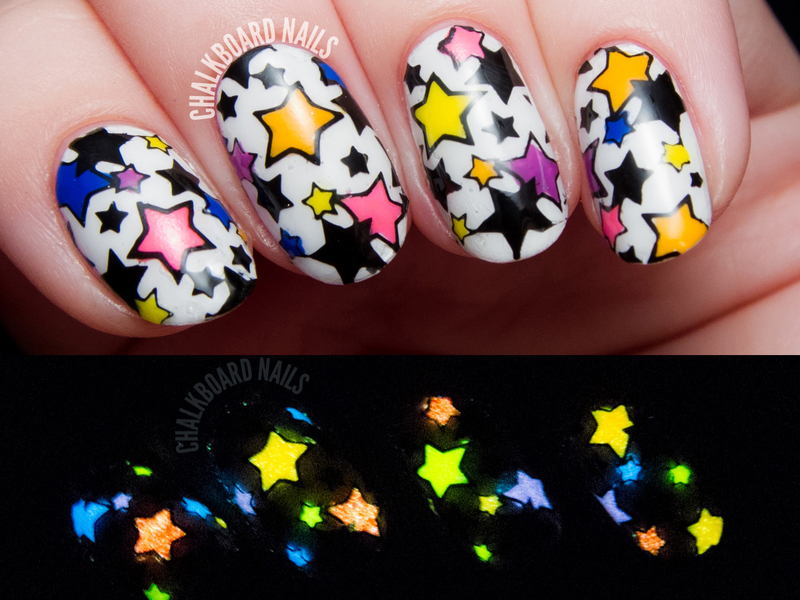 So cool to combine this with glow in the dark polishes! 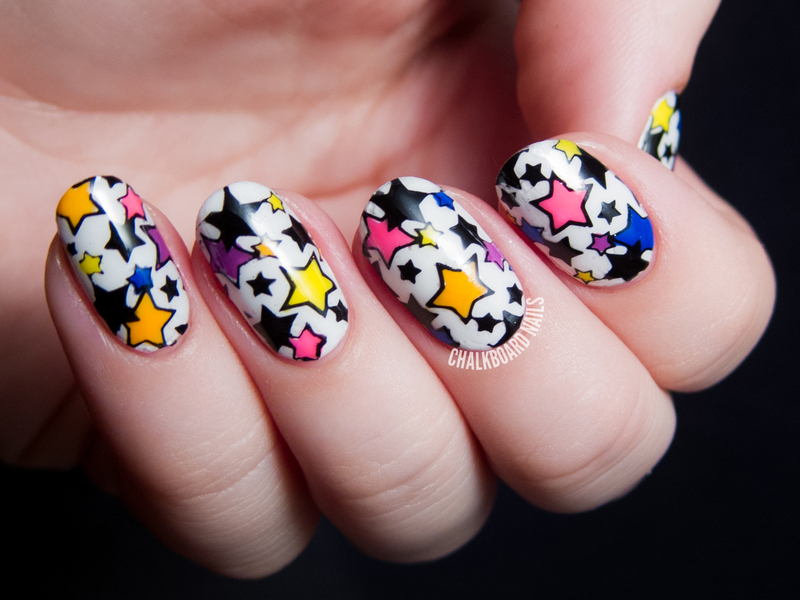 I am gonna try this reverse stamping sometime! super cool!